Block's chemical detection systems are based on widely tunable Quantum Cascade Lasers. Our instruments utilize a high brightness QCL source, which results in high spectral power density and radiance. Block's spectrometers are able to quickly measure gases, liquids, and surface materials with high sensitivity and can rapidly analyze highly absorbing or diffusive materials. Block's QCL spectrometers are superior to traditional FTIRs in sensitivity, versatility, ruggedness, and portability. They are effective for applications ranging from standoff analysis of trace chemicals to powerful analysis of microscopic targets, such as biological cells or forensic samples. In addition to its spectrometers, Block also supplies tunable mid-IR sources. LaserSense-ML™ is a compact system designed for hydrocarbon gas (C1-C5) detection in mudlogging and other oil and gas applications. LaserSense-CV™ is a BTU, Calorific Value, and Wobbe Index analyzer for the natural gas industry. LaserSense-NGL™ is a Natural Gas Liquids (NGLs) analyzer for multicomponent C1-C6 analysis, including individual isomer analysis. LaserWarn™ is an open-path chemical detection system designed to detect chemical leaks and threats 24/7 from a distance of up to 500 meters. The system detects CWAs, TICs/TIMs, and other target gases. LaserTune™ is a tunable mid-IR source. 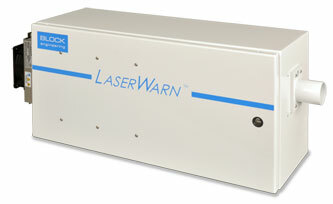 The fully integrated LaserTune system has the widest tuning range (5.4 - 12.8 microns) of any mid-IR QCL source available. Mini-QCL™ is a compact quantum cascade laser module for OEM customers. The Mini-QCL modules offer a 250 cm-1 tuning range, and can be integrated together to cover the range of the full LaserTune system. MCT IR Detector Module™ is a thermoelectrically cooled detector element and preamplifier package optimized for acquiring spectral data with the LaserTune source. The module is also available as a stand-alone detector. Block has sixty years of experience developing chemical sensing devices using advanced spectroscopic techniques, including Passive FTIR, Standard FTIR, and grating-based spectrometers. Our standoff chemical detection products are used extensively by the military and Department of Homeland Security to protect against chemical threats. Our products warn our military personnel of chemical terrorist attacks, provide portable standoff detection of chemicals for HazMat Teams and Special Forces, and provide the intelligence community with threat information. Block has developed a deep understanding of the issues that affect the sensitivity of these devices, and has designed electronics that provide extremely low noise and sensitive detection limits. 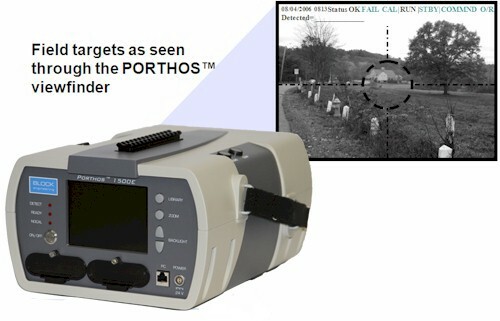 PORTHOS™ is a portable, fully integrated system, which contains the M140 FTIR spectrometer, complete chemical recognition software, built-in self calibration, on board data storage and battery.